Just when we thought we were done (until the Supreme Court rules), we get the news of an error in SB 423, the school finance bill. 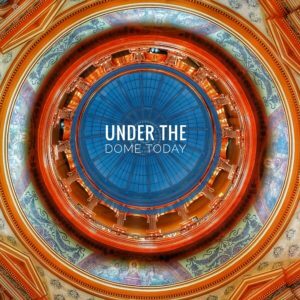 And not just a little thing – a big thing. An $80 million thing. Let’s first put to rest any conspiracy theories. Bills and amendments are drafted by the Office of the Revisor of Statutes which is staffed by attorneys with special expertise in drafting statutory language. They work very hard and do a terrific job but every once in a while there are errors. Some errors are simply typos; others are due to misinterpretations of what a legislator wanted to do. They rarely rise to the level of this error but it obviously can happen. The Revisors at this time of the session are working under extreme stress. They are being assigned demands for multiple amendments and struggling to keep up with all of the changes being made to many bills as the Legislature works through piles of stacked up bills. They work through the night to get everything ready for the next morning. They don’t go home when the Legislature adjourns for the day but work late into the night and early hours of the morning so things are ready to go the next day. They are stressed and sleep deprived. There is no conspiracy. 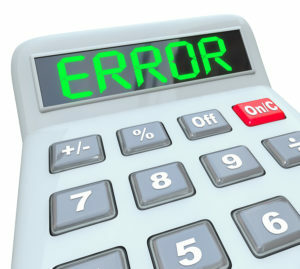 There is a mistake and mistakes can be fixed. There will be trailer legislation written to correct the error. The Legislature can return on April 26 and quickly pass such legislation if they cooperate with each other, respect the democratic process, and decline to seek political points or advantage at the expense of our schools. We know that Senate Republican leadership was opposed to this bill because they don’t believe our schools need additional funding despite multiple studies showing the schools do. Those opposed to this bill because they did not want to fund schools believed just as much as anyone that the bill provided $500 million over five years. They also know that a majority of Senators voted to pass the bill with that understanding. We hope that leadership will not stand in the way of fixing this error and will honor the decision made at the end of the session. We know that many members of the House had worked very hard to increase the funding in the bill. They were not successful. While we would love to have had support for the increases proposed, that is not what ultimately passed. We hope that those legislators will not stand in the way of fixing this error and will honor the decision made at the end of the session. We want to reiterate that we are not convinced that SB 423 as it was understood to be on April 7 will satisfy the adequacy ruling in Gannon. It may, but it is just as likely that it won’t. But we believe in the system. We believe that what the Legislature understood they passed on that night needs to go before the Court. We believe that the Attorney General and the plaintiffs should prepare briefs based on that understanding and we call upon the Legislature to fix the bill on April 26 so that it matches the understanding of that night. We don’t need finger-pointing. We don’t need to play some “blame game.” We don’t need to try to score political points. We need to respect what was intended on April 7 and move to the Courts. We call upon all members of the Kansas Legislature to do just that. 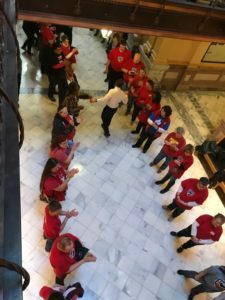 The anti-education leadership of the Kansas Senate was thwarted late Saturday night and a stalwart band of Kansas teachers was there to witness it. 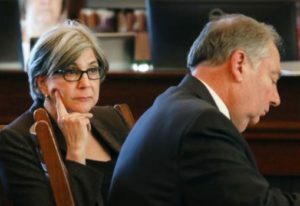 Senate President Susan Wagle (R-Wichita) and Majority Leader Jim Denning (R-Overland Park) did their best to stop a school funding bill from passing but in the end, House Sub for SB 423 passed by the slimmest of majorities. 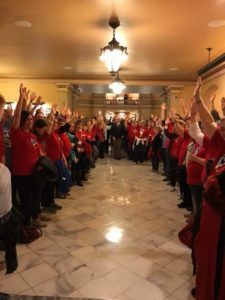 The House had passed and sent to the Senate HB 2445, a bill providing more than $500 million in new money phased in over five years for Kansas public schools. The Senate had passed SB 423, a school finance bill half the sum of the House version and loaded with policy provisions. Negotiations began in a House/Senate Conference Committee on Friday and were not going well. No progress was being made on the big question – how much more funding would be provided to our schools to meet adequacy? On Saturday, the House made a strategic move. They brought the Senate school finance plan (SB 423) which was sitting on the calendar, up for debate and in a series of amendments removed the Senate plan and inserted their own with a couple of changes. They inserted two provisions from the Senate finance plan. One would have provided $500,000 to fund the mentor teacher program; the other would provide $2.8 million to pay for the ACT and three ACT WorkKeys assessments required to earn a national career readiness certificate to each student enrolled in grades 9-12. To keep the overall funding the same as in the original HB 2445, they reduced the amount put into BASE aid by $3.3 million (expected to be a reduction of about $6/pupil) to cover the cost of the assessments and the mentor teacher program. 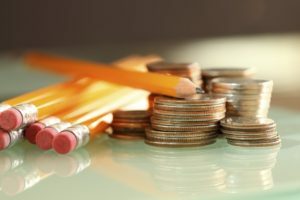 Other amendments offered by Democrats to either increase the BASE by changing the calculation or increase the reimbursement of the excess costs of special education were not adopted. The bill was then passed on “emergency final action” on a vote of 63 to 56 and sent to the Senate. This action was not welcomed by the Senate. Before they could take up the bill it would have to be “read in” or announced as part of a “message from the House.” To avoid reading the bill in, the Senate launched an hours-long debate over a massive tax cut bill – a bill that would reduce revenues by the amount of education spending increases in what had become House Sub for SB 423. Senate Leadership was hoping to run out the clock on the session and kill the school finance bill. In an even-numbered year, they cannot go past midnight on the 90th day without passing an adjournment resolution that would allow an extension of the session. With Saturday being day 90, once midnight hit, all unfinished business would be dead. Getting the bill read in took a special procedural motion organized by Senate Vice President Jeff Longbine (R-Emporia). His motion was successful and the bill was now available for action. Once the tax bill was voted on, the Senate moved on to SB 423. There was a motion by Sen. Carolyn McGinn (R-Sedgwick) to concur in the House changes to the bill – in other words just to pass what the House did and send it to the Governor. Senator Ty Masterson (R-Andover), who believes schools have more money than they need right now, made a substitution motion to non-concur and send the bill to conference. Masterson’s motion would have put us right back into the committee that was not making progress on negotiating a compromise. The Masterson motion failed on a vote of 17 to 21 and debate on the motion to concur continued. It was then that conservatives who wished to kill the bill began to filibuster it in an attempt to drag out the discussion past midnight when everything would die. Remember that adjournment resolution that hadn’t been voted on? We needed that to extend time. Through another series of complicated procedural motions, an adjournment resolution was adopted and sent to the House. And from there, things went further south! It seems there was a date error in the resolution such that Sine Die – the official end of the session which happens a couple weeks after the end of the veto session – was instead set at the very end of the veto session. The reason there is a gap between the end of the veto session and Sine Die is to give the Legislature the chance to react to any last gubernatorial vetoes. The House passed its own adjournment resolution with the correct dates. Problem is, they now had two different adjournment resolutions. Senate leadership and the conservatives redoubled their efforts to extend the debate until midnight to kill the school finance plan. But the House saved the day. At 11:59 pm, the House adopted the Senate’s adjournment resolution with the error and with seconds to go, the session was extended. The debate could go on. It was then that the wind went out of the conservatives’ sails. The filibuster ended shortly after midnight and the motion to concur was adopted on a vote of 21 to 19. The bill was passed and is on its way to Governor Colyer who has said he would sign it. KNEA supported SB 423. You will hear some say that this bill is not going to satisfy the Gannon ruling. Those folks think we should have opposed the bill and demanded more funding. So let’s be clear about this bill and why KNEA supported it. It creates a new mental health pilot program creating partnerships between schools and community mental health centers to better deal with children in crisis – a program we hope will be found to be successful and then replicated across the state. Like others, we believe that there is a chance the Court will find the adequacy level in this bill lacking. It is slightly below the State Board’s request and it is certainly significantly below the recommendations in the new cost study (a study, by the way, ordered by the conservatives in an effort to prove that schools already were adequately funded). We continue to believe that schools need more funding to make up for years of frozen funding and many rounds of funding cuts. We found this year that we had strong support in the House to move a good bill but the same level of support was not there in the Senate. We believed that the funding level in Sub SB 423 could garner enough support in the Senate to pass and were equally certain that higher funding would jeopardize the passage of the bill in the Senate. We were also very much aware of the deadlines for response to the Court. The Court, in their ruling, specified very tight timelines for consideration of the Legislature’s response to Gannon. The Court’s decision will be communicated by June 30. Attorney General Derek Schmidt had asked the Legislature to have the bill done by March 1. When earlier this week it appeared that Senators Wagle and Denning were intent on ignoring the Court deadline, AG Schmidt sent a letter to Legislative leadership in both chambers imploring them to pass a bill by April 7 to give his office time to write their briefs. Waiting was no longer an option. A bill needed to be passed or the Court would have no option but to announce that schools would not open in August. It was time to get something out and we wanted that something to represent a good faith effort by the Legislature. We certainly believe that Sub SB 423 has a chance of not being accepted as adequate by the Court. We remain firmly convinced that the plan originally passed by the Senate would result in a closure order. We still may face that order. We still may face a special legislative session in July after the ruling. But waiting longer because either “this Legislator” wants to defy the Court and “that Legislator” believes more money is needed was not likely to result in an ability to move the legal process along. We anxiously await the oral arguments and the Court’s decision. We really believe that, for the sake of the students we serve and for the school employees we represent, this was the time to move forward. We shared that position with others in the education community including school districts, the Kansas Association of School Boards, United School Administrators, and many parent organizations. We are proud of our efforts in support of our schools, our members, our students and their parents. Tomorrow we will talk about the many players in last week’s drama; friends, enemies, and even some frenemies!